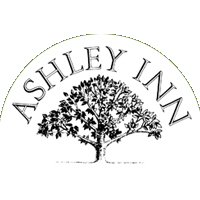 Discover the essence of a Martha’s Vineyard Bed and Breakfast at the award-winning Ashley Inn. As a welcomed guest, you’ll enjoy the casual elegance of this historic Georgian home, the comfort of your finely appointed guest room, a fresh start on the day with a splendid full breakfast, and the warm hospitality of your hosts, Fred and Janet Hurley. Twice named “Best Bed & Breakfast” by the Vineyard Gazette, the Ashley Inn is conveniently located in the heart of picturesque Edgartown. Here you’ll find gorgeous sandy beaches, scenic bike paths, unique shops and restaurants, and a vibrant nightlife. We invite you to our tranquil setting, where you may simply relax in a cozy hammock and breathe in the ocean air. Or enjoy a day at the nearby beaches, then join us for afternoon teas, lemonade, and cookies. Later, take a leisurely stroll to lively Main Street. From island adventure to total relaxation, your Vineyard experience begins at the Ashley Inn.